We're two days in and heading into the day for diehards. As I rip down my third cup of coffee and digest hour number two of draft coverage I couldn't be more excited. Clausen, McCoy, no longer waiting. Mocked first rounders, Everson Griffen DE, USC and Bruce Campbell OT, Maryland, on the board. Through two days, who are the . . . Winners & Losers. Seattle Seahawks Give Seahawks brass, GM John Schneider and head coach Pete Carroll, a ton of credit here. In their first draft in Seattle they've hit three home runs with all of their picks through Day 2. The Seahawks were able to land a replacement for the looming retirement of 14-year veteran tackle Walter Jones. Added one of the most coveted players in the draft who instantly improves their 30th ranked pass defense. On Friday, the Seahawks added an offensive weapon to play opposite T.J. Houshmandzadeh and improve their 21st ranked kick return game. 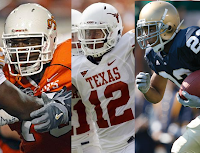 From their top pick (6) Russell Okung, a mauling offensive tackle that measures in over 6'5", 300 lbs, to their second selection (14) of Earl Thomas the former Texas ball hawk who is fast enough in coverage to play heads up on some of the games best, to lastly (60) Golden Tate, the Notre Dame playmaker who aside from his knack for making big time catches was one of the faster receivers in this draft, Seahawks fans should will smiling today. San Francisco 49ers If the 49ers are anything, they're confident. Through four selections and three rounds, the San Francisco 49ers have picked up massive physical athletes with each player selected. (11) Anthony Davis, 6'5" 323 lbs. (17) Mike Iupati, 6'5" 331 lbs. (49) Taylor Mays, 6'3" 230 lbs. And (91) Navorro Bowman, 6'0" 242 lbs. That's a ton of size. Former top pick, 'Niners quarterback Alex Smith, is still smiling from Thursday night. San Francisco went out and drafted two bulking offensive lineman, who agreed both need work, but if all works out the 49ers rushing offense will instantly improve and give Alex Smith more time to find his big playmakers Michael Crabtree and tight end Vernon Davis. The pick of Taylor Mays is perfect for Mike Singletary, he's a massive safety with a big chip on his shoulder falling to the second round. If anyone is going to find the best way to use such a physical player as Mays, it's MIke Singletary. With their final pick yesterday, the 'Niners added Navorro Bowman who dominated in Happy Valley and led Penn State to a number of big wins throughout his time there. The 49ers are covering all their needs through the draft, expect big things very soon. Baltimore Ravens I love what the Baltimore Ravens have done, it's why they are one of the most productive teams year in, year out. After trading out of the first round the Ravens have wasted no time. (43) Sergio Kindle LB/DE, Texas. The Longhorn pass rusher needs work and has injury questions but he's going to a team who can teach him how to play the position. Playing behind Terrell Suggs, Kindle will be able to work himself into the rotation. Why is this a great pick? Because the Ravens take the best guy available at that point, they know they can teach him how to play their position. 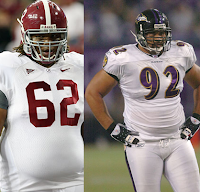 Following the Kindle pick, (57) Terrence Cody DT, Alabama. Don't they already have Haloti Ngata? Yes. That's exactly why the Ravens go out and do this. The Ravens again take a defensive force who can be schooled in how to play the defensive tackle position in the NFL, who better to teach him than a top five defensive tackle in the league? Since then, the Ravens have added two tight ends to give Joe Flacco more weapons to work with. The Ravens are loading up all over their depth chart, and they didn't even need a first rounder to do it. New England Patriots I just don't like it. For every pick they've made, I've thought someone else was better at the same position. Oh, and they passed on selecting Dez Bryant, an impact wide receiver, which they needed. One would have to be the most star-crossed Patriot fan to call this a good weekend. 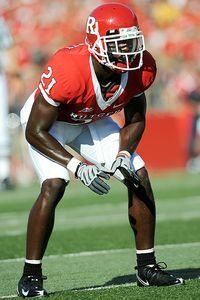 (27) Devin McCourty CB, Rutgers. All due respect to McCourty a good player in his own right, but Kyle Wilson was still on the board, he was the consensus 2nd best corner in this draft. 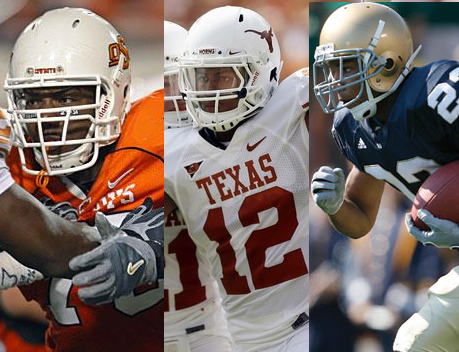 Then there is Jermaine Gresham the Oklahoma tight end, a very good college tight end, the best in this years crop. With the Broncos and Dolphins dying to move back in this draft, was there really no way the Patriots could have gave up a couple of their later round picks to get him? Instead they don't, they allow the Bengals to draft him and proceed to get a couple lesser tight ends. (42)Rob Gronkowski TE, Arizona & (113) Aaron Hernandez TE, Florida. Maybe Belichick is smarter than all of us, maybe he finds all the steals of the draft, but if your going to draft players in the same position, why not get the best players you can get? 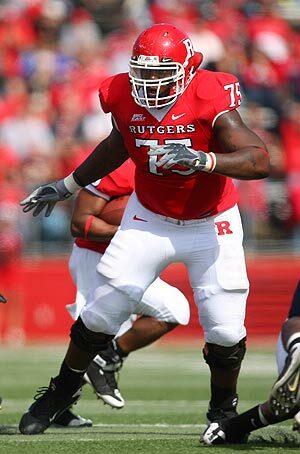 I like (62) Brandon Spikes LB, Florida but why not get a guy like Jerry Hughes or Sergio Kindle when you could have? They drafted Laurence Maroney ahead of DeAngelo Williams and Joseph Addai in 2006. I just think they get too cute in the draft and need to take quality players when they can. Bill, some 1st rounders are pretty good. Jacksonville Jaguars It isn't about reaching and just selecting (10) Tyson Alualu DE, Cal, because you've heard that was a reach from everyone. It's about not having a plan, that's what it looks like. It looks like they had a player they were going to take, then the Bills took him and they hadn't prepared for that to happen. 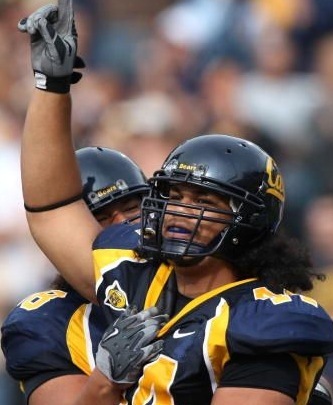 Alualu may be great in the NFL and the pick was worth it, but you probably could have taken him much later. The Jaguars haven't drafted anyone who can sell tickets, they haven't made any improvements to their offense. What have they done? Del Rio is going to be out of a job and this team is going to be picking in the top five in less than two seasons. I'm not saying I'd have taken Tebow at #10, that's ludicrous, but they needed somebody to sell some tickets and take the load of Maurice Jones-Drew, they don't have that yet. Buffalo Bills I have many questions for the Bills. Whose playing quarterback being the only one that matters. The 30th ranked passing offense passed (no pun intended) on Jimmy Clausen and Colt McCoy. Look, even the Browns realized they need to to take a quarterback to give themselves a chance. The Bills? No thanks. They drafted a wide receiver, and still have no one to throw the ball to him. I don't understand these teams, including the Rams who seemed to have questions before drafting Sam Bradford, you need a quarterback to win in this league, period. Why did the Lions draft Matt Stafford? Why did the Falcons draft Matt Ryan? To get better in this league and get out of drafting in the top ten picks year after year, you've got to pick a quarterback and build from there. Good job Bills, you've successfully been unsuccessful yet again. Heavily entrenched, rounds 5 and 6 are getting good!